Find baby crafts, baby arts & crafts projects and baby shower craft ideas here. If you want to make a wonderful collection of items for your baby, then making crafts at home is a nice idea. Handmade crafts are not only easy to make. Moreover, they can be made by materials that are readily available in the market. Baby arts and crafts can make beautiful keepsakes too. Creating and designing for baby is such a joy and an amazing experience for the parents. The craft making sessions can also serve as an opportunity to spend quality time with your babies. Babies would love to be a part of a craft project and to help you out. There are several options to choose from, when it comes to homemade crafts for babies. Making a travel activity box is a good idea, because the item can keep your little one entertained for several hours, during long journeys. 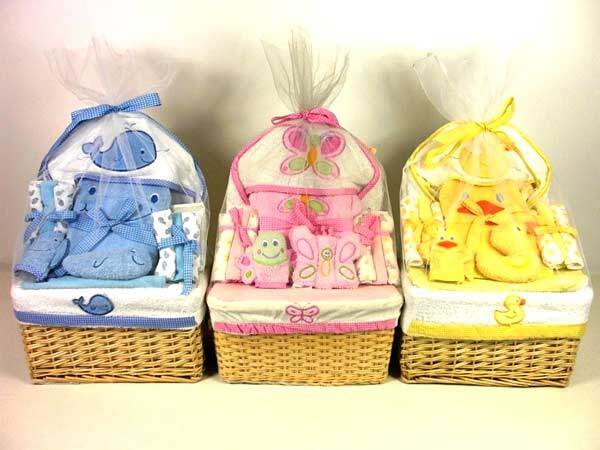 Baby gift box and jar will be like a magical box to the baby. A clothing bouquet or a diaper cake would stand out as wonderful baby shower gifts. Baby blankets would be a practical, yet personalized gift for the babies. In this section, we have given fun ideas for making baby crafts, which you can make easily at home. Baby clothing bouquet is one of the most beautiful and perfect baby gifts that you can make yourself. Though it comprises of simple baby clothes, it is the way of presenting them that makes the gift stand out among others. For a mother, making quilt, sweaters and cozy blankets for the 'new member' of the family can be a lot of fun. It not only provides a sense of satisfaction for the mother (because she sews the comforters for her baby on her own), but also cuts the expenses of buying the same from stores. Thanksgiving Day gives you an opportunity to spend quality time with your family, especially your little kids. And what better way to utilize this time with your children than to involve them in some interesting crafts. One of the crafts which kids will surely love to make is the baby turkey craft.